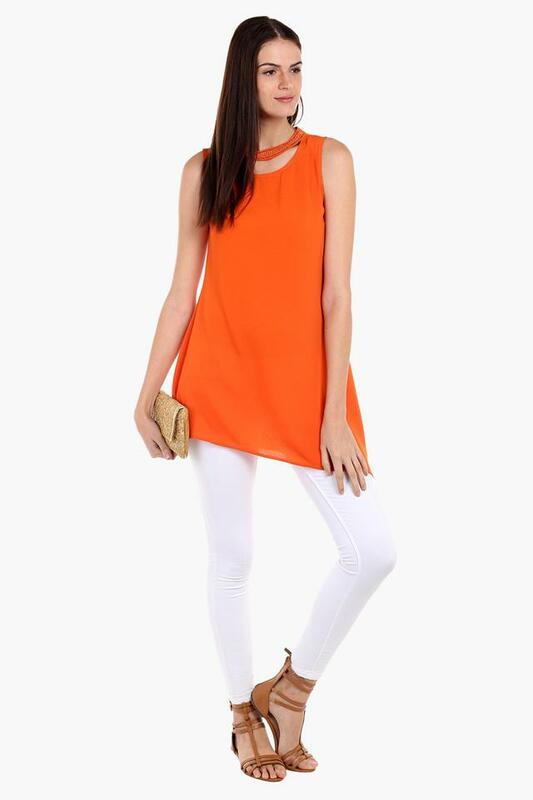 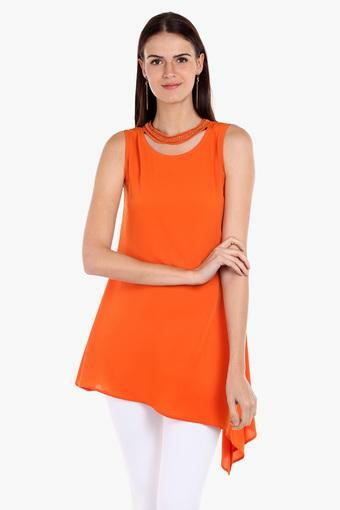 Refresh your casual collection with this band neck solid tunic from Fusion Beats. 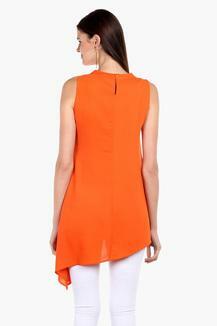 It has been tailored with a good quality polyester, which will provide a soft touch against your skin. Moreover, it features an button closure back neck and also comes with sleeveless design that make it all the more appealing. This top will be an excellent pick form Fusion Beats, you to wear on a casual day out. It will look good with a pair of faded jeans and wedge sandals.